The award ceremony is THU Sept. 26, 2019 at the Geldershoofd 80. Tuxes and gowns are the dress code. Amsterdam, here we come! Our film will also be screened at the Berkeley Video & Film Festival, Nov. 1 ~ 3, 2019. Film directed by Yoshiaki Tago with camera work by Tago and Kate McKinley. Editing by Eri Muraki. Fukushima is the worst nuclear disaster since Chernobyl. It will take decades and billions of dollars to keep the multiple meltdowns under control. Spewed radiation has reached as far as the American West Coast. Some 100,000 people were displaced from the no-go zone. But, eight years after 3.11, the story hardly makes headlines. 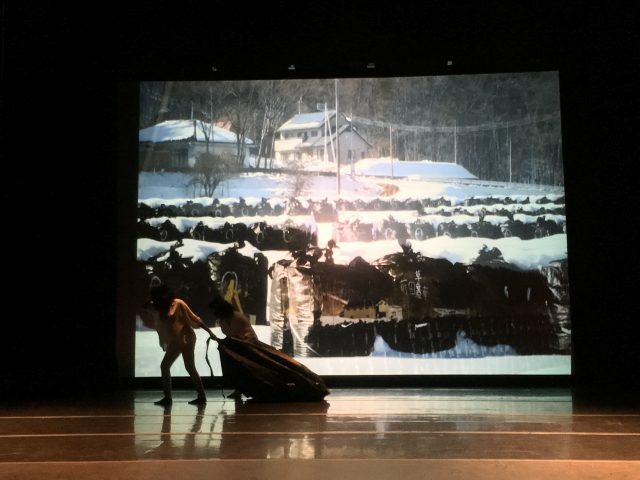 Journalist Yuri Kageyama turns to poetry, dance, theater, music and film, to remind us that the human stories must not be forgotten. 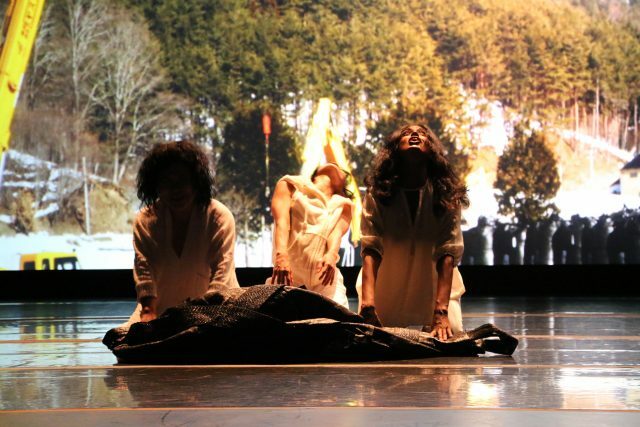 Carla Blank, who has directed plays in Xiangtan and Ramallah, as well as collaborated with Suzushi Hanayagi and Robert Wilson, brings together a multicultural cast of artists to create provocative theater. 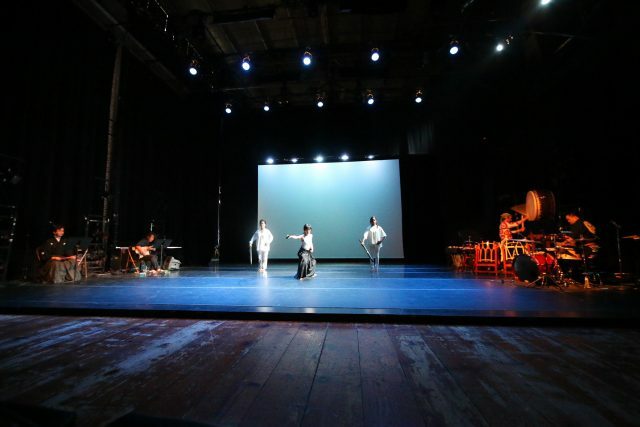 Performing as collaborators are actors/dancers Takemi Kitamura, Monisha Shiva, Shigeko Sara Suga and musicians Stomu Takeishi, Isaku Kageyama, Kouzan Kikuchi and Joe Small. Lighting design by Blu. Video by Yoshiaki Tago. 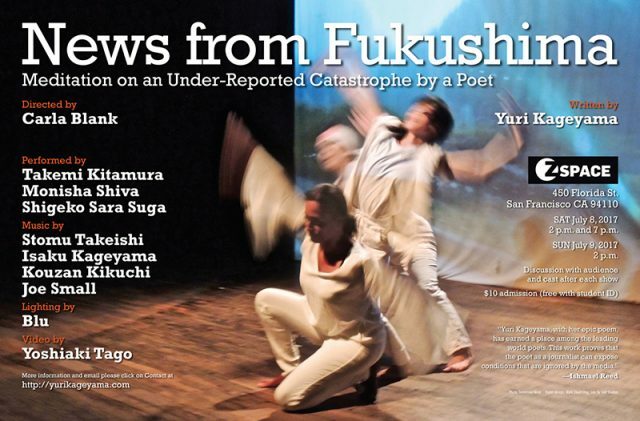 NEWS FROM FUKUSHIMA is a literary prayer for Japan. It explores the friendship between women, juxtaposing the intimately personal with the catastrophic. 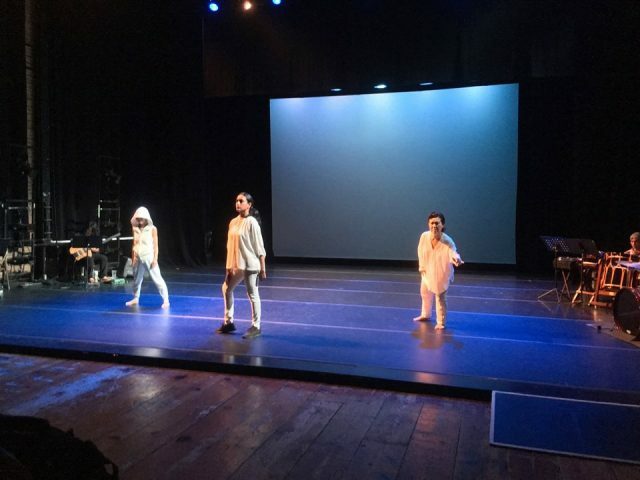 The piece debuted at La MaMa in New York in 2015, with music by Melvin Gibbs, Sumie Kaneko, Hirokazu Suyama and Kaoru Watanabe. An updated version was presented at Z Space in San Francisco SAT July 8, 2017 2 p.m. and 7 p.m., and SUN July 9, 2017 2 p.m. The film was completed October 2018. “Yuri, you did a great job. Stay hard and blunt and don’t mince words. Yours was a powerful reflection on the corruption and greed of men and their indifference to human life.” _ Ishmael Reed. 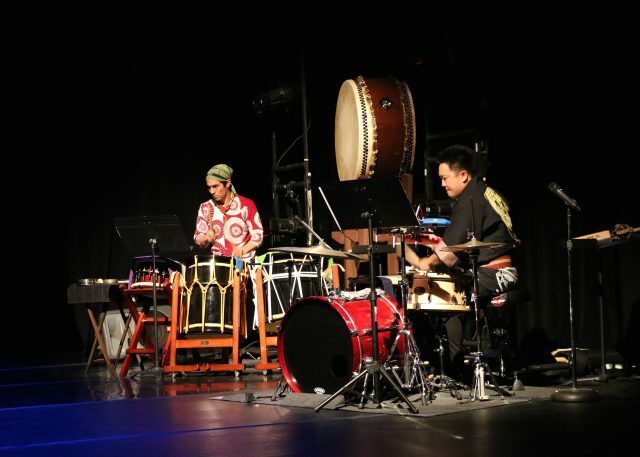 For the San Francisco performance, we had genuine Bon Daiko drum music performed by Isaku Kageyama with shakuhachi and fue by Kouzan Kikuchi, joined by Joe Small (taiko/percussion) and Stomu Takeishi (bass), delivering mesmerizing renditions of Bon and minyo from Fukushima, as well as other Japanese tunes. 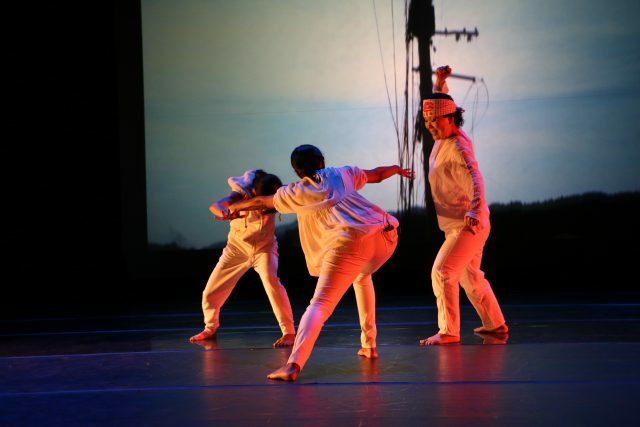 The Bon idea of the dead’s homecoming and the abstracted repetitive dancing in a circle serve as a symbol of the piece’s message of death, yearning for family and future generations, and gratitude for the harvest and peaceful everyday life. 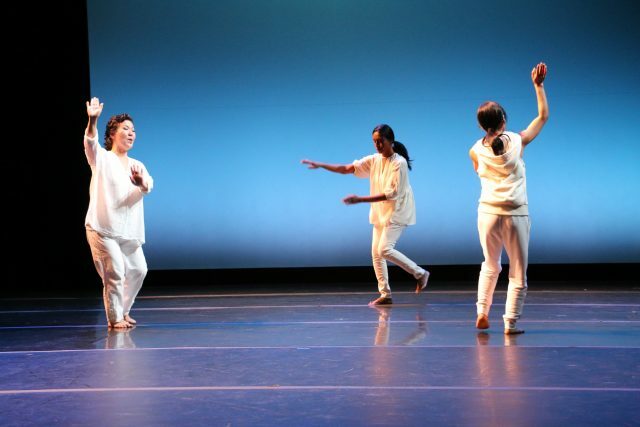 Juxtaposed with the experimental choreography by the director Carla Blank, incorporating collaborations with the performers, Takemi Kitamura, Monisha Shiva and Shigeko Sara Suga, Bon dance was transformed on the American stage, and presented as a dignified and artistic motif of modern movement. 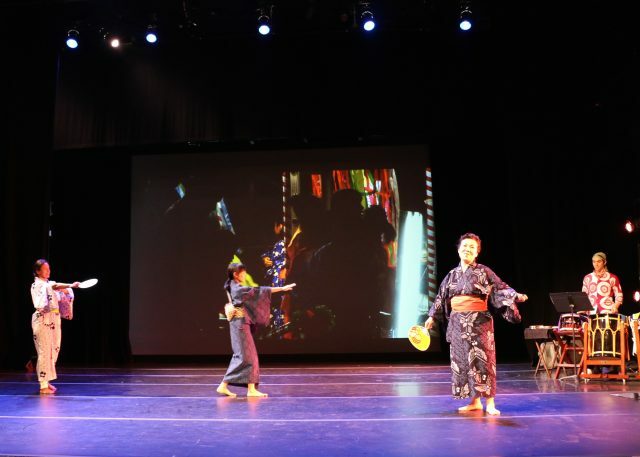 Bon Odori continues to bring people together in the Japanese American community _ and communities all over Japan. 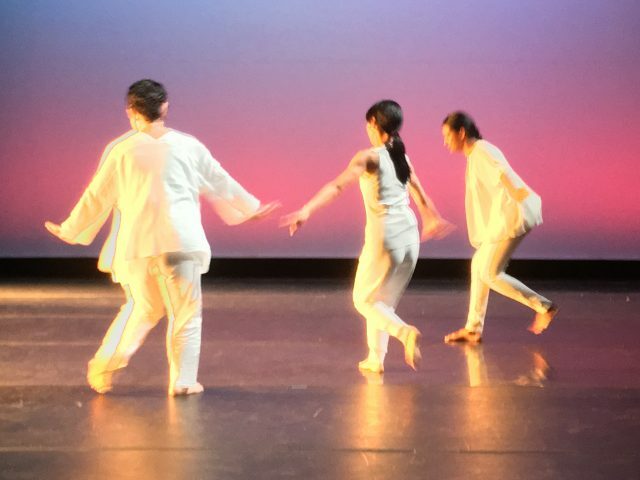 This performance is a collaboration among all its participants, some who have worked together since 2015, and some who in 2017 helped create this new development of the piece. 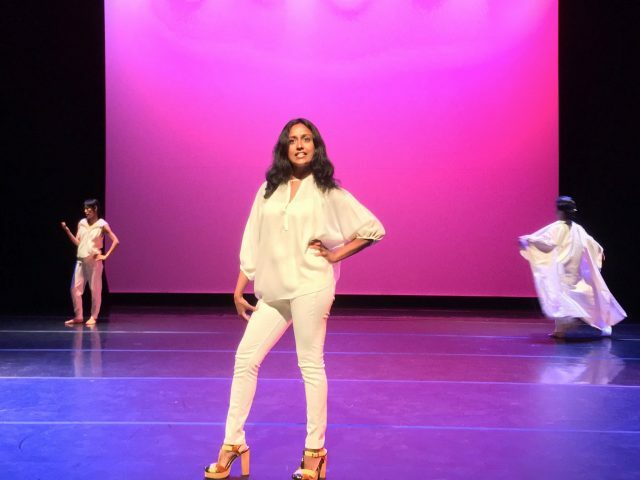 Through email conversations and intensive rehearsals we arrived at our choices of the particular dramatic scenes, music, video, dances and other action you will see. The Bon Odori dances and music, which provide transitions between the scenes, are based on traditional celebrations that occur throughout Japan during the late summer to honor the ancestors: Soma Bon Uta and Aizu Bandaisan from Fukushima, Yagi Bushi from Tochigi and Gunma near Tokyo, and Tanko Bushi from Fukuoka, besides Tokyo Ondo, which continues throughout Bon Odori (The Death Dance). 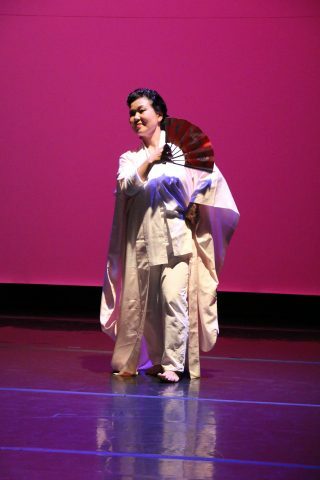 Great thanks to Takemi Kitamura, who taught us the four dances you will see and who also created the movement for the Prologue solo and Epilogue trio, inspired by a line dance from Aizu, the westernmost region of Fukushima, where annually it is offered in remembrance of 19 of the over 300 Byakkotai warriors , teen-age sons of samurai in the White Tiger Battalion who in 1868, during the Boshin Civil War, committed ritual disembowelment (seppuku or hara-kiri) because they mistakenly believed a fire had consumed their lord’s castle, which would mean their city had been captured and their families killed. 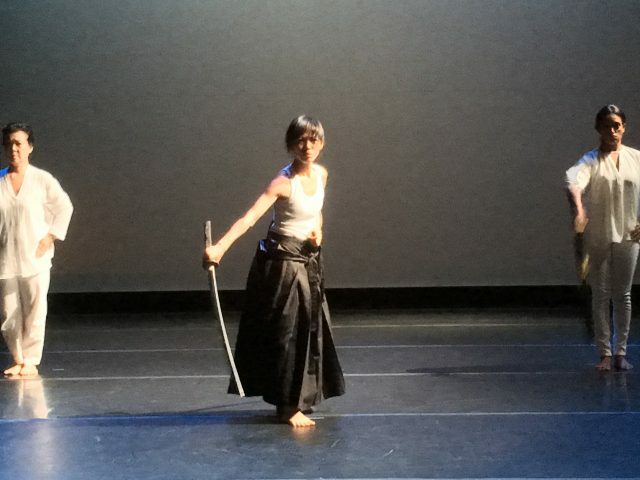 For me, this dance particularly resonates because of where it comes from, how contemporary its formal choices appear, and how as the strokes of the blades go every which direction, it becomes a metaphor for the ways life can slice us also. 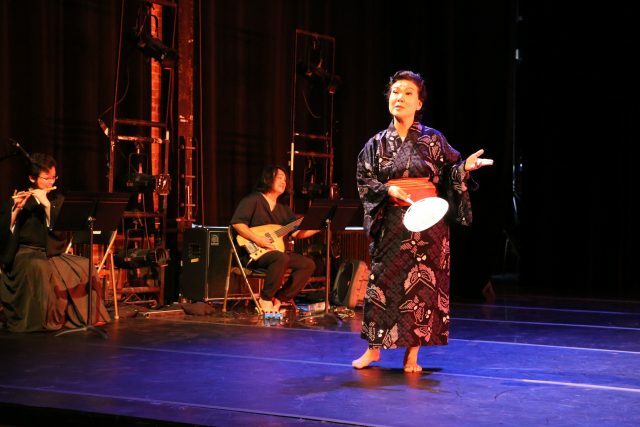 It has been my great pleasure to realize Yuri Kageyama’s work with all these wonderful, dedicated performers. Ishmael Reed came up with the title for my performance piece: “NEWS FROM FUKUSHIMA: Meditation on an Under-Reported Catastrophe by a Poet.” As that suggests, the piece is about my vision as a poet. My spoken word pieces, delivered to accompaniment of various kinds of music, address racism, stereotyping, sexism and the search for love. They seek to address what society sees as “bigger” issues, such as the Fukushima accident, the nuclear bombing of Hiroshima and the journalistic mission. For me, they are all connected. All those themes provide the driving force in my storytelling that has over the years always sought to bring closer to home the perennial repetition of people’s betrayal, selfishness and smallness. The Fukushima disaster is the biggest story of my life _ both as poet and journalist, those sides of my writing identity which have in the past remained so painfully separate. They have now come together. We have all come together in this effort _ all of us, of different backgrounds, cultures and disciplines. We have become one. It is clear we have each done our best to share our talent, our passion and our lives, to raise questions, to connect _ and to bring hope. What people are saying about NEWS FROM FUKUSHIMA: MEDITATION ON AN UNDER-REPORTED CATASTROPHE BY A POET. 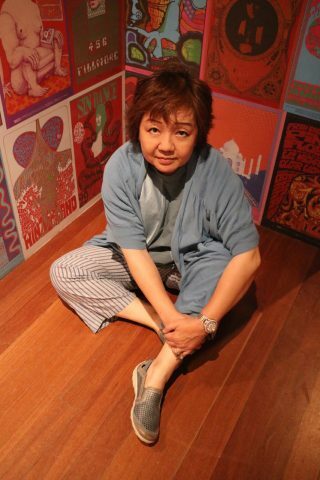 Yuri Kageyama, with her epic poem, has earned a place among the leading world poets. This work proves that the poet as a journalist can expose conditions that are ignored by the media. _ Ishmael Reed poet, essayist, playwright, publisher, lyricist, author of MUMBO JUMBO, THE LAST DAYS OF LOUISIANA RED and THE COMPLETE MUHAMMAD ALI, MacArthur Fellowship, professor at the University of California Berkeley, San Francisco Jazz Poet Laureate (2012-2016). 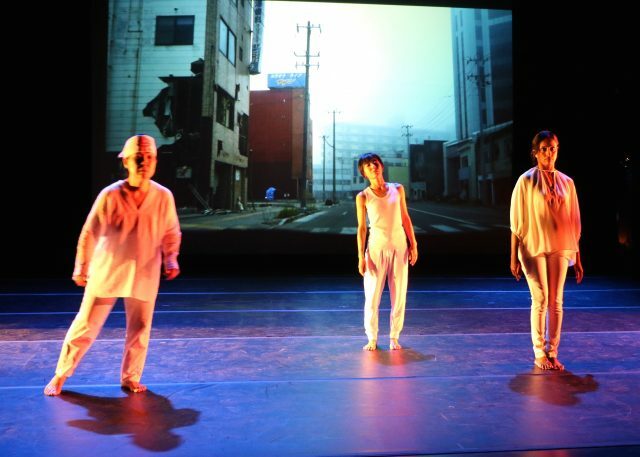 NEWS FROM FUKUSHIMA is a commentary on what it means to be human in the 21st Century. While we are divided by race, ethnicity, language, geography and culture, the essence of our humanity remains constant. 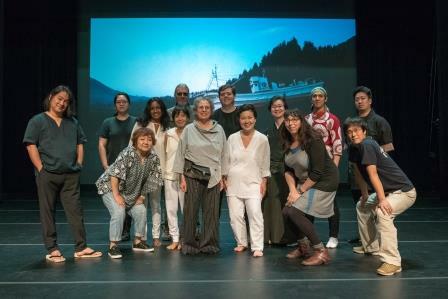 In NEWS FROM FUKUSHIMA, the cast, director and playwright all come together to create a montage of courage, uncertainty and hope in the face of disaster. _ Basir Mchawi producer, community organizer and radio show host at WBAI Radio in New York, who has taught at the City University of New York, public schools and independent Black schools. 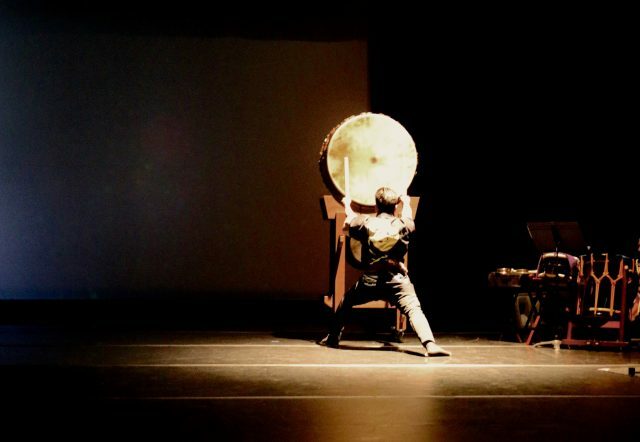 Her collage-like piece weaves together lyrical monologues, sword dance, film and live music that blends jazz, taiko drumming and minyo folks songs. 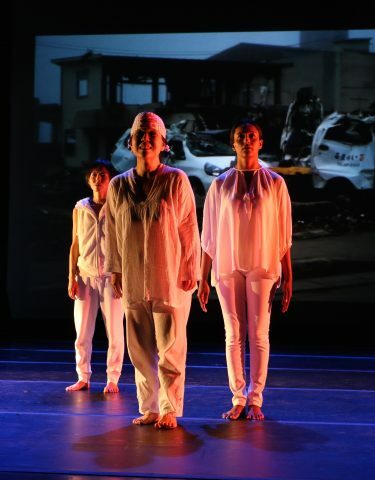 In the Fukushima of 2017, goes one line late in the play, “the authorities say they are playing it safe, when no one really feels safe.” _ Lily Janiak, writer for The San Francisco Chronicle. A vital story of our times. Spoken word and music from a talented multicultural ensemble. A beacon of light in a darkening world. _ Paul Armstrong artistic director at International Arts Initiatives, a Vancouver-based nonprofit for cultural advancement through the arts and education. 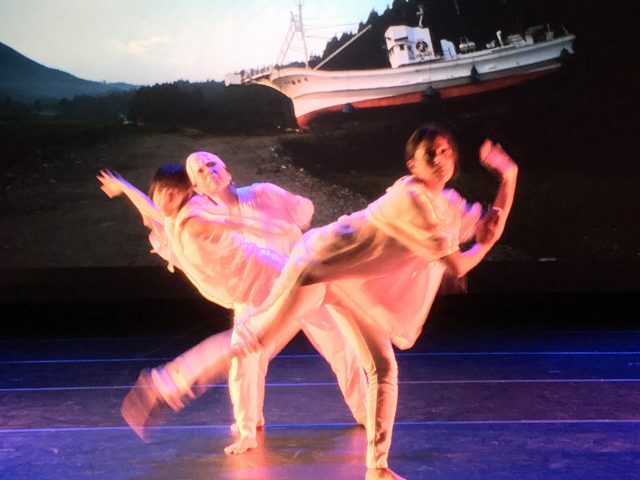 I welcomed NEWS FROM FUKUSHIMA _ into my consciousness, with deep gratitude, seeing it twice, two days in succession _ all the while marveling at the tough yet faithful production and its dedication to truth-telling. _ David Henderson poet, co-founder of Umbra and the Black Arts Movement, author of ‘SCUSE ME WHILE I KISS THE SKY. JIMI HENDRIX: VOODOO CHILD. Strong threads of a woman’s point of view …. Excellent ….The issue of motherhood in looking at Fukushima is well done. And the candid shots of Obon in Japan are fantastic in the background. As are the shots of rows and rows of radioactive materials in plastic bags, just left in rows upon rows in Fukushima. I thought the production was very good, technically excellent, and very illustrative of a Japan we don’t hear about after the 2011 triple disaster. Go see it. _ Peter Kenichi Yamamoto, poet in San Francisco and coordinator at the National Japanese American Historical Society. NEWS FROM FUKUSHIMA is a memorable performance with well-researched narratives that throws you into a quest for humanity. _ Midori Nishimura, Stanford University professor and medical doctor. A powerful message not to forget: Fukushima. 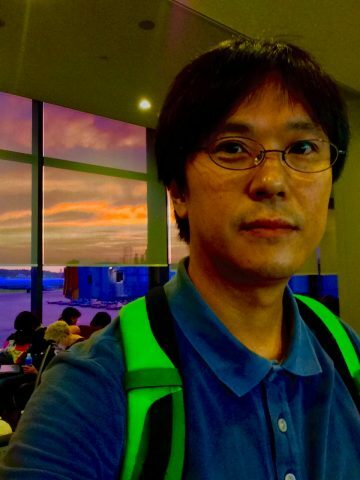 _ David Ushijima, San Francisco business professional in retail, mobile, sensor-based and connected devices, Internet of Things. Great music …. It left such an impression. A splendid performance. _ Seiko Takada, musician, “Kaizoku” vocalist/guitarist. 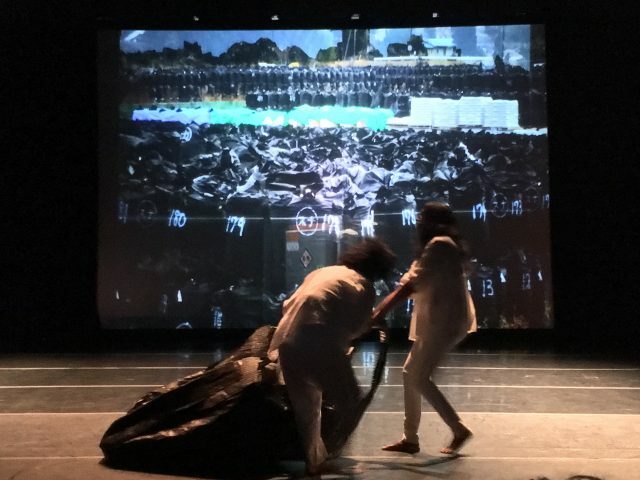 NEWS FROM FUKUSHIMA is a powerful artistic response to disaster, informing us and inspiring us to compassion. _ Ravi Chandra, San Francisco-Bay Area poet, writer and psychiatrist. A truly emotional experience. 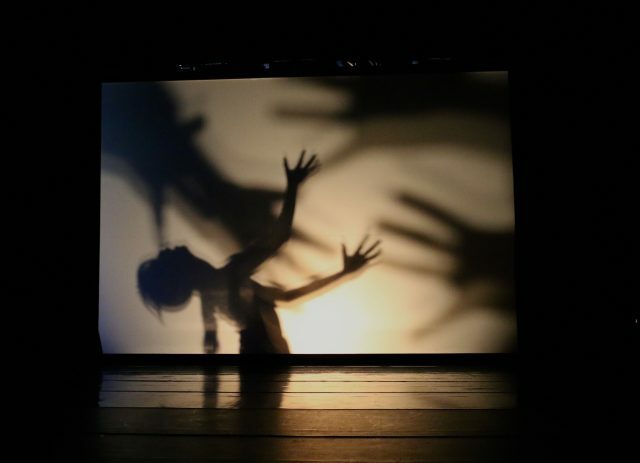 _ Liliana Perez child psychologist and Ph.D.
Fukushima: Excellent musical accompaniment to poignant poetry, with minimal yet imaginative staging and choreography. _ Nana pianist and New Yorker. What a delight …. See this show and be transported magically. _ George Ferencz co-founder of the Impossible Ragtime Theater, resident director at La MaMa (1982-2008), who has also directed at the Actors’ Theater of Louisville, Berkeley Rep and Cleveland Playhouse. News that enraptures and engages through Sound. A Poet sings of the unreported calamity at Fukushima. _ Katsumi a Japanese living in New York. 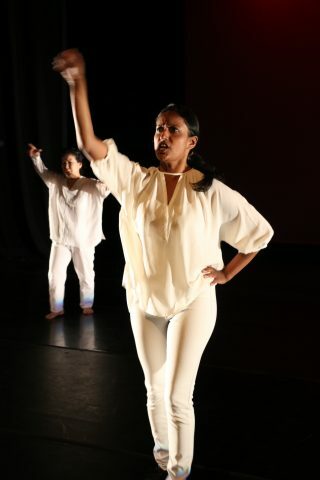 Everyone who took part in this performance, and those who came to see it, although of different races and thinking, all felt clearly the existence of what we know is so important …. I have lived to see many people who hurt others out of selfishness, betrayed others without qualms, and then went on to hide what they had done. But in the end, what is desired is not achieved, leaving only hunger, and, because of that, the cycle gets repeated …. I pray more people will be able to feel love through seeing this performance. _ Toshinori “Toshichael Jackson” Tani dancer, member of TL Brothers and instructor. 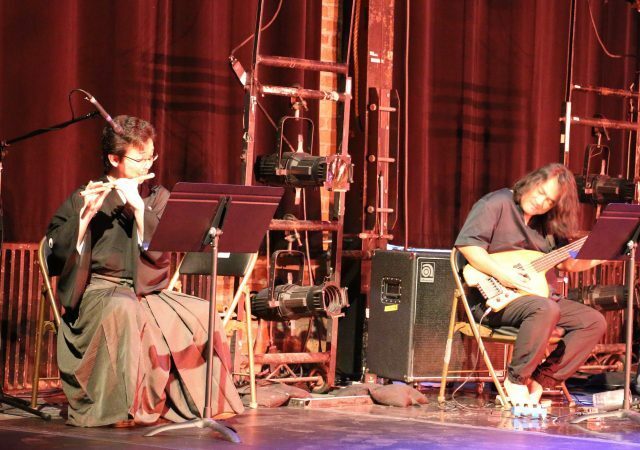 STOMU TAKEISHI is a master of the fretless electric bass and has played and recorded in a variety of jazz settings with artists such as Henry Threadgill, Brandon Ross, Myra Melford, Don Cherry, Randy Brecker, Satoko Fujii, Dave Liebman, Cuong Vu, Paul Motian and Pat Metheny. He tours worldwide and performs at various international jazz festivals. 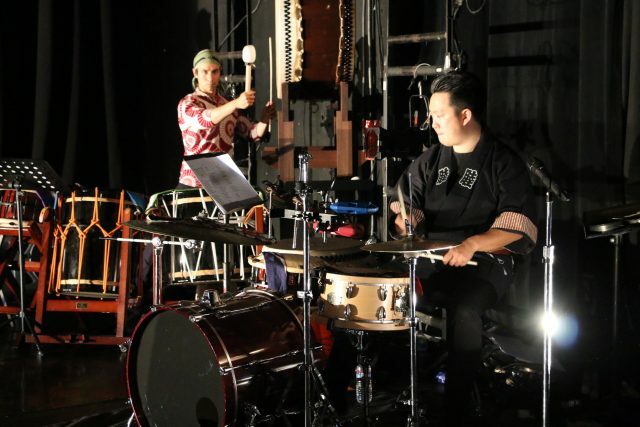 KOUZAN KIKUCHI, shakuhachi player from Fukushima, studied minyo shamisen with his mother. A graduate of the Tokyo University of the Arts, he studied with National Treasure Houzan Yamamoto. He has worked with Ebizo Ichikawa, Shinobu Terajima and Motoko Ishii. In 2011, he became Tozanryu Shakuhachi Foundation “shihan” with highest honors. 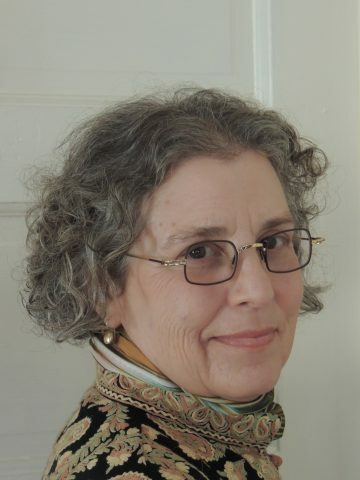 BLU lived in New York for 20 years and was resident designer at the Cubiculo and La MaMa Experimental Theatre Club. 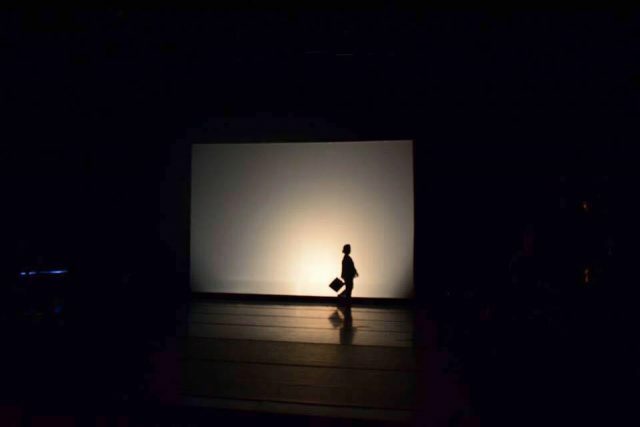 A Bessie Award winner, he was lighting designer for renowned dance theater artists such as Sally Gross, Eiko and Koma, Ping Chong, Donald Byrd, Nancy Meehan and Paula Josa Jones. 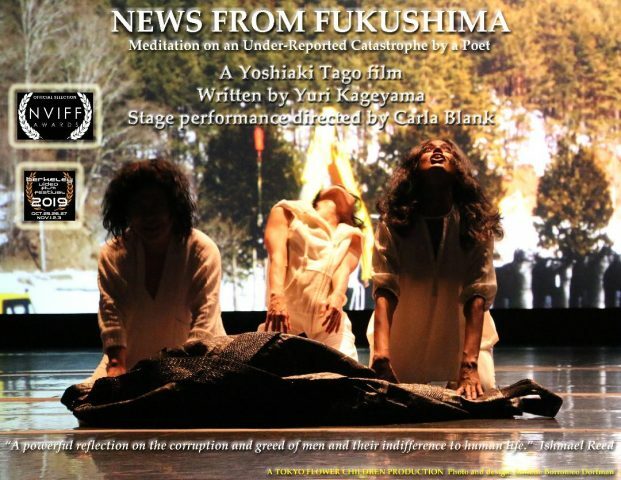 YOSHIAKI TAGO, whose video was part of the live performance, has made NEWS FROM FUKUSHIMA into a film. Tago also directed “A.F.O.,” “Believer,” “Worst Contact,” “Meido in Akihabara.” His short “The Song of a Tube Manufacturer” won the runner-up prize at the Yasujiro Ozu Memorial Film Festival in 2013. He serves as film adviser for Takashi Murakami. He has worked with Nobuhiko Obayashi, Takashi Miike and Macoto Tezuka. He is a graduate of the prestigious Tokyo film school founded by Shohei Imamura. The two sides of who I am _ poet and journalist _ have long been separate. I am a poet, first and foremost, I felt, and reporting is what I do for my job. 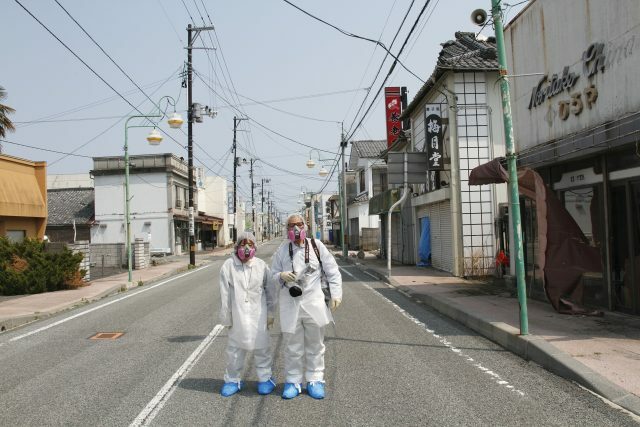 But the 2011 Fukushima disaster brought those two sides together in a way that was undeniable, imperative and honest. 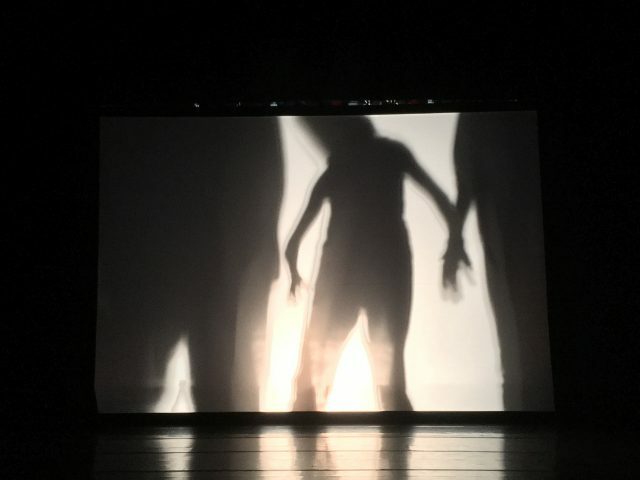 I am filled with gratitude toward my collaborators, who have turned my words and ideas into a moving, convincing and honorable piece of theater. In this work, we defy the boundaries of cultures, race, generations and genres to tell the story about how our world has created a catastrophe. We don’t pretend to have all the answers. But it’s an important story. Thanks to Akiyoshi Imazeki for photographs of Fukushima for video by Yoshiaki Tago for “Decontamination Ghosts;” Z Space, especially Drew Yerys, Minerva Ramirez, Wolfgang Wachaolovsky, Jim Garcia, Julie Schuchard and Andrew Burmester; Alex Maynard and Adam Hatch for the use of Starline Social Club for rehearsals; Mark Ong of Side by Side Studios for the poster design; Annette Borromeo Dorfman for program design and photographing the performance; Sally Gross, Ping Chong and Meredith Monk for help finding our cast; Ishmael Reed for ongoing support and Tennessee Reed for photography; Hisami Kuroiwa for her wise counsel, filmmaker Kate McKinley; LaMaMa Experiemental Theatre for showing the work in New York in 2015; Melvin Gibbs, Sumie Kaneko, Hirokazu Suyama and Kaoru Watanabe for the music at La MaMa; Bob Holman for presenting an initial reading at Bowery Poetry Club with Yuki Kawahisa, Pheeroan akLaff and Tecla Esposito; Makoto Horiuchi; Yoichi Watanabe and Hiromi Ogawa of Amanojaku taiko in Tokyo; all the members of the Yuricane spoken word band who inspired the poems and stories that developed into this work, and, last but not least, the people of Fukushima. Yuri Kageyama reports from the no-go zone in Fukushima. Photo by Kazuhiro Onuki.